Home » Digital marketing , inbound marketing , marketing » Inbound Marketing - This is how you get certified. Inbound Marketing - This is how you get certified. Harvard's and MIT's certificate in marketing all cost more than 10,000 USD. What if I told you, you can get certifications with more recent and more business-relevant content for free? Here is the secret: Hubspot's team has done an absolutely amazing work on educating their market to inbound marketing. And this post makes you save tremendous time by giving the right tips to get your Hubspot certification faster! Hubspot's inbound marketing certification structures around the 4 phases of the customer journey: attract, convert, close, delight. Inbound marketing is the set of techniques you need to understand in today's multi-channel world. In contrast to traditional marketing, which focused on what your brand wants to say to customers, inbound focuses on what the customer wants to know about your brand. Without replacing traditional marketing tools completely, inbound is much more adapted to today's commercial markets than traditional marketing. Get certified in inbound marketing for free. The two best free inbound marketing certifications! A key element of Hubspot's customer education strategy involves a set of digital marketing certifications that you can get for free. 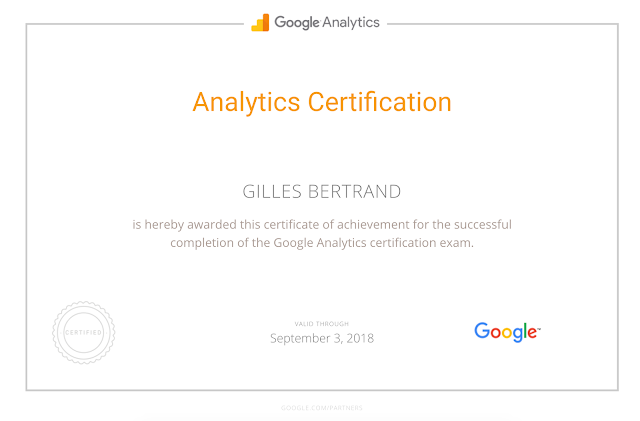 They are a great complement to Google Analytics certifications, which are free too. In my opinion, the certifications are not the most important element here: what matters is that the study material they provide is great! Even seasoned marketers will learn a lot with the study materials. Learning the concepts is probably sufficient to get ideas that will impact your business top-line! How to prepare for Hubspot free inbound marketing certifications? You can find the Hubspot certifications in the Hubspot marketing academy. It provides very nice video lectures that will bring your inbound marketing skills to the next level. Try immediately the certification exam - you can try it 3 times per month, each repetition after a 24 hours delay. Trying the exam early will help you get a feeling of what you need to learn. Watch all the videos in the academy, and do the practice quizzes! I have listed below the things that I found most interesting and important in Hubspot's approach of marketing. Let's start with the definition of inbound marketing: educating customers with content that they want to get, rather than pushing to them information that they do not necessarily want (cold calling, spam...). How to create buyer personas for inbound marketing? Creating buyer personas is a great method to impersonate your customer segmentation. To build accurate personas, the ideal method is to measure real behavior from existing customers. Even if your product is not launched yet, you can still do your research: focus groups, customer interviews, surveys and many other methods enable you to capture relevant information. Depending on the stage the persona is in, she will face different challenges. That's why you should enrich your customer segmentation with the stages. Demographics: Paul, a 30-40 male marketer is based in London and speaks UK English. He is working in an agency and looking for his next job. Challenge and interests: He wants to demonstrate and increase his marketing skills. He found this blog through google, by searching for keywords related to "free online marketing certifications". He liked my post to "get Google Analytics certification easily" and followed my posts on Twitter. He later revisited my blog and got interested in the present post on Hubspot's certification. 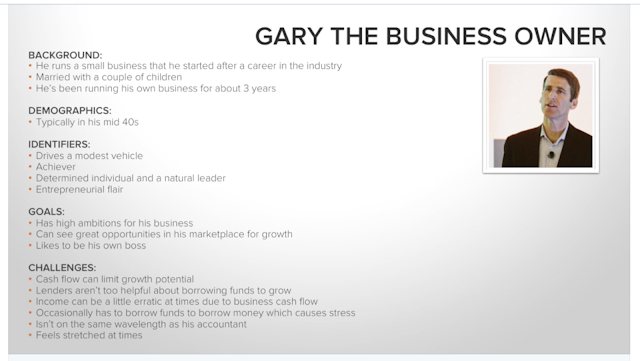 An example buyer persona developed in Hubspot's inbound marketing training material. Buyer personas are great to improve product-market fit. Value proposition: How can we help this customer segment solve their challenge. Objection handling: What objections are they likely to raise and how do we handle these objections? Paul's problem is to demonstrate his marketing skills through certifications. There is plenty of content on marketing - why should Paul read this blog? My post must be easier to find through Google than competing content, and I must be more relevant to Paul's than competing content. It may be more efficient for Paul to just visit the Hubspot academy rather than reading this blog post. How can I make it more valuable to him to read this post? I need to hook the reader early on to keep him reading and address some topics that are not part of Hubspot's certification. As you see analyzing the personas and their objections forces us to address the difficult marketing questions early and helps us create remarkable content. Well done inbound marketing! Congratulations if you are still reading, at this stage. It means that you are motivated to get the certification! 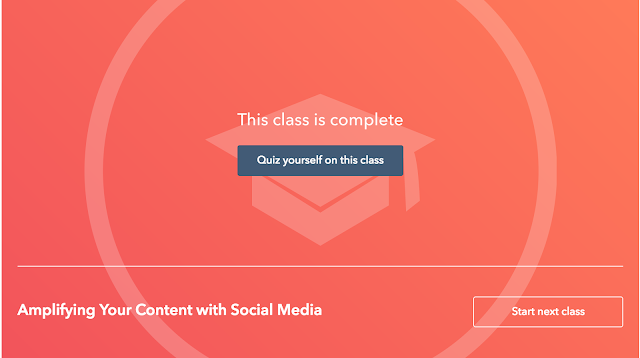 Now do not forget, the practice quizzes in Hubspot Academy are your best friends! Inbound realizes that content is new marketing currency: it's the amount and quality of your content that delivers business results, not the amount of money you invest in the design. Awareness: talk about your customers' problems. Consideration: details the approaches to solving the customers' problem. Decision: explain how your offering solves the problems. Blogging is an effective way to publish and promote content that covers the challenges of your customers at all stages of their journey. Blogging makes you seem authoritative about your business area and the accumulation of content you publish over time is a great investment for ranking to the top of Google. 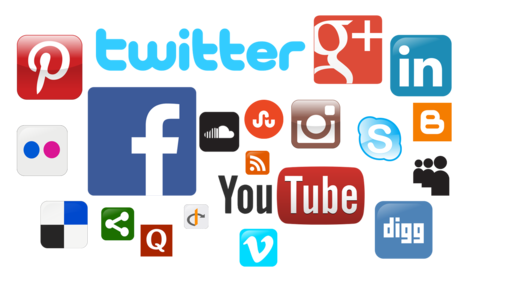 Search engines and people rely on social media to identify authoritative content. Therefore, social media marketing is a powerful inbound tool. You have to promote your content across social media platforms to increase your audience. Follow your channels on social media. The number of users per social media platform (credit: Hubspot). Social has the potential to multiply your audience! Have a look at my post on how to build a great digital marketing strategy, including a social media plan. You do not have to be on all media - just be where your audience is. Your efforts need to target a SMART goal. For example, my goal could be by end of year to have 500 followers interested in digital marketing on Twitter. I busted this goal within a week, but that's a different story: see the shortcut to having Twitter followers. To set your goal you have to consider the return on investment (ROI) of your efforts. A higher position in the page ensures that even people who do not read the full page at least see the CTA. However, for blogs, the CTA at bottom of page perform better because they do not interrupt the reading of the post. A great landing page converts 20% of its visitors. This means that every fifth visitor fills in the form and clicks submit on the landing page. If you get 1000 visits, you will get 200 leads. That's pretty good! A Landing page must make extremely obvious what it is selling. Write a clear headline explaining what people will get and how. Add an image showing what they will get. Explain the benefits of the offer to the targeted persona. Explain it in a short video, that's even better! I hope this post has convinced you of the interest of going through Hubspot's inbound marketing training. Let me know when you get your certification. I love feedback from readers! Thanks. The thank-you page either deliver the value that was promised in exchange of the lead's information or set the expectations on the follow-up ("Now what?"). 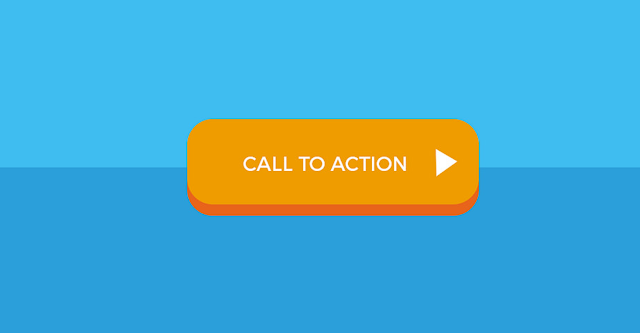 This page is also a great opportunity to add another call-to-action. Sets the expectations for the next steps: it should include a quantified timeline for the next step. Has a limited bounce rate: It should include the navigation menu, to encourage visitors to stay on the website. Increases website conversion: it includes further call-to-actions. Increases website visibility: it includes social buttons. What level of engagement and how many previous contacts. Different email content for different segments. For example, Hubspot's academy has great content suggestions for each stage of the buyers' journey (pictures below). Different tracking codes for each segment! Do not become a spammer: your content must always be very relevant to your audience segment! I hope you liked this very long post! And if you did, you can make me happy so easily by sharing this post on social networks! Thanks! Inbound marketing is so much cost effective. When talking about a business, 1st of all cost comes in front. Because a business profit or loss depend on business cost.